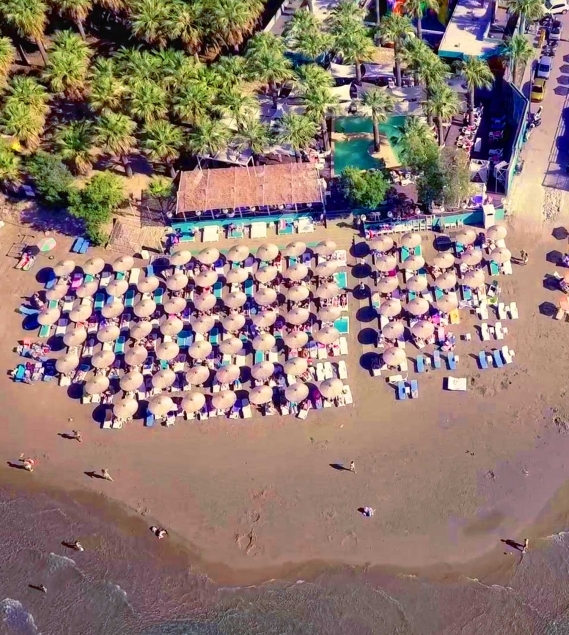 At an amazing location in the heart of Agia Marina just 6.6 km west of Chania, inside a forest of palmtrees you will find one of the best familly friendly beach bars of the island. The exotic background of palmtrees forest along with luxury cabanas and cosy sunbeds composes the perfect scenery for your ideal vacations venue. Mediterranean cuisine made with fresh local ingridients, unique signature cocktails, all day live dj's act and a huge water slide game for kids make it the perfect match for your summer holiday destination. Red Havana, Pool Bar Restaurant. Completely remodeled and new for 2018, we are bringing you a premium all day venue with all the amenities and more of a traditional beach plus extras activities and games for kids and family to enjoy. Explore our venue options, see upcoming events, and view our Gallery to learn more for our new activities.